Gudolv Gudvolden is apparently living a quiet life on the country side in Norway, working as a translator of European, classical literature. Nobody suspect he is a hitman, hired by a secret organization- JUSTITIA ORG- run by resourceful and well known names in society. JUSTITIA ORG discretely eliminate war criminals and evil doers who have escaped justice. Gudolv is travelling to Germany to finish his mission number eight- out of ten, which is when he has decided to quit, and enjoy a normal life. This time he goes to Berlin; where he always visit the statue of Knut the polar bear; which sudden death puzzles him. a homicide planned by his sadistic commander, he warns a village with only women, children and elders about a planned ambush by his troop. Nine people, too sick to move, remain in the village. In front of the soldiers; the cripples are tortured by the commander. Unable to control his anger, Haydir smashes a rifle in his commander´s face. Few seconds after they are ambushed by the enemy- Haydir manages to escape in the chaos and hides in a cave. Haydir is later awarded as a war hero; being the only survivor- nobody can witness his desertion. So he dismiss his service, now free to focus on his work and wife. His family migrates to Germany, where he starts working as a professor in mathematics. In Germany; Haydir ́s life turns out to become more complicated than he had hoped for. 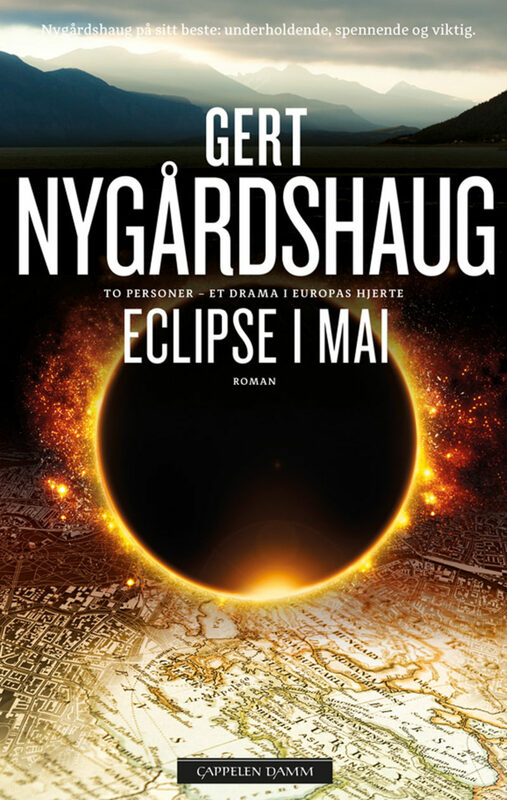 In ”Eclipse in May” Nygårdshaug creates two distinct worlds with protagonists from two completely different cultures – Norway and Turkey. Both have a troubled background. Through coincidences and a game, where people with power, positions, money and influence govern the world, they finally meet.